Professional boxing in Mexico gives one satisfaction after another. With a prideful tradition that spans almost a century, Mexico has produced over 150 world champions, more than any country other than the United States. You’d think a nation with this much success in professional boxing would have similar results in its amateur counterpart, but Mexico has historically struggled to have success in the Olympic Games and World Amateur Boxing Championship. For a long time, boxing was the sport that had given Mexico the most medals in the Olympic Games, having been surpassed in recent years by diving. Mexico has had twelve Olympic medals: two gold, three silver, and seven bronze. 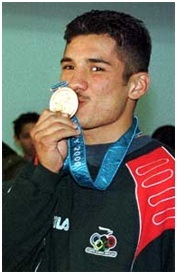 The last Olympic medal was a bronze from Chistian Bejarano in Sydney 2000. In the World Amateur Boxing Championships, Mexico has only one medal, a bronze, and rather recent. Considering the supremacy of Mexican boxers in the professional ranks, it’s hard to understand the lack of amateur success. It’s an old debate that can be broken down into several arguments. Moreover, being in the same region as the United States and Cuba, amateur boxing powers, doesn’t exactly motivate young Mexican fighters. They are easily seduced by professionalism early in their careers. 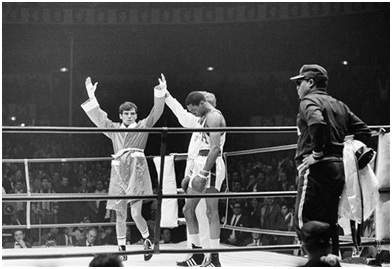 History shows us that the most prolific Mexican boxers had short amateur careers, if at all. Just take a quick look at some of the best: Julio César Chávez had a measly fourteen amateur bouts; the great Salvador Sánchez had only four. Ruben Olivares, Ricardo “Finito” López, Juan Manuel Márquez, Erik Morales and Marco Antonio Barrera all won the nationally prestigious Guantes de Oro (Golden Gloves) championships, but have no records on international competition. Humberto Chiquita González only had 23 fights. Their amateur stages were seen merely as a trial to be tested for the professional scene.Canelo Álvarez, current Mexican boxing sensation, turned pro at age fifteen. 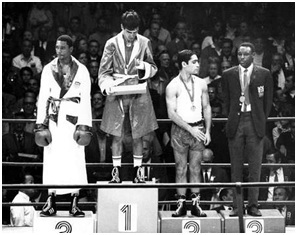 The list goes on; most Mexican world champs had very unmemorable amateur careers. 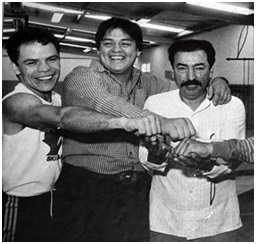 Notable world champions that competed internationally as amateurs include Raúl “Ratón Macías”,Vicente Saldívar, Gilberto Román, and Daniel Zaragoza. More recently, Abner Mares, Alfredo Angulo and Carlos Cuadras have had significant amateur experience. 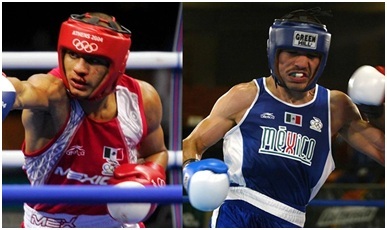 Abner Mares and Alfredo Angulo were both in the Athens 2004 Olympic team. What about the two boxers that won the Olympic gold medals? Well, they both had short, unsuccessful professional careers. Antonio Roldán, featherweight, won his first three fights, then had a draw, and retired after two loses, the second by TKO. The flyweight champion, Ricardo Delgado, had a longer run. 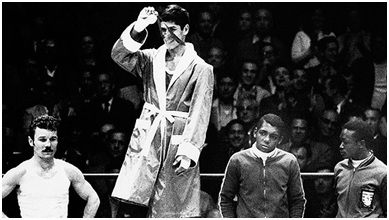 He started with nine victories and one draw, after which he dropped a decision to a boxer he had already defeated. Then things went downhill and, long story short, he ended with a record of 14 wins, 12 loses and 4 draws. 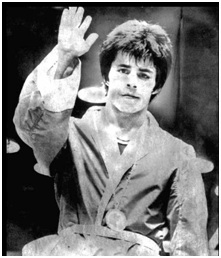 He got to fight the legendary Miguel Canto twice and world champion Guty Espadas, losing promptly. In fact, there is only one Mexican boxer who has won both an Olympic medal and a professional World Championship belt: Alfonso Zamora. Zamora won a silver medal at the 1972 Olympics in Munich. He turned pro the following year and was the WBA world champion by 1975. 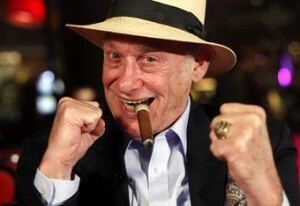 Disappointed by the current amateur results, he has been quoted saying “Mexico should have six medals per Olympics”. And, of course, to speak about the process means talking not only about the boxers, but their trainers. Who was in charge of that legendary 1968 Olympic team that won four medals? It was the Hall of Fame inductee Ignacio Nacho Beristáin. Probably the greatest Mexican boxing trainer of all time, he also led the teams in Munich 72, Montreal 76, and Moscow 80. In those last ones, he took Daniel Zaragoza, one of his most beloved pupils, to move on to the pros. He won a total of six medals, that’s exactly half of the medals collected by Mexico in the sport. Process that for a second. In case you didn’t think his twenty-five trained world champions were reason enough for his Hall of Fame induction, his amateur resumé should just about close the case. Though his hopes on Zaragoza becoming a world champion weighed in on Beristáin’s transition to the pros, it was not the only reason. Nacho got fed up with the corrupt inner circles of Mexican sports, which is a whole topic of its own. Back in the day, support for Olympic athletes was very poor, and many shady decisions would take place by those in charge. Luckily, there is more transparency and support nowadays, though not as much as one would like. “I got tired of being a bureaucrat and being witness to all the dirty business handled by the government”, said Beristáin in an interview. Ignacio Beristain (right) is very fond of his first world champion, Daniel Zaragoza. Most recent amateur prospect was Óscar Valdez Fierro, Mexico’s first-ever amateur youth world champion and winner of that one bronze in the World Amateur Boxing Championships. Valdez was Mexico’s biggest hope for another Olympic medal, but fell short just one fight away from the podium after a dubious loss to an opponent he had managed to drop once. Yes, Mexico has been on the wrong side of controversial decisions in the Olympics, but you can’t possibly blame it on that. The issue is a conjunction of many aspects, some that go beyond boxing. Some claim the style from amateur competition doesn’t favor Mexican boxers. 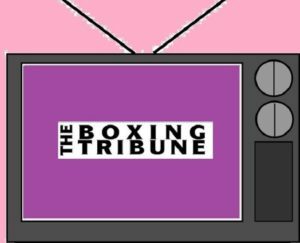 The argument is solid, considering that the prototypical Mexican boxer is always on the offense and tries to end fights by way of knockout, something hard in the amateurs because of the equipment and the fact that there are only three rounds. The young age of the athletes is also an issue, considering that international competitions usually have older, more experienced fighters. But the U.S. has managed to do well with youngsters. Mexico’s boxing rival, Puerto Rico, shares the same issue. They have won only six medals: one silver and five bronze. It’s another world: Italy, Hungary, and Bulgaria all have great success in the amateurs, but hardly ever have a notable pro boxer. The biggest issue, however, seems to be the money. Boxers, more often than not, come from rather humble backgrounds. Young Mexican talents see turning pro as the quickest way to have a good income to support their families. But the truth is the top Olympic athletes in Mexico receive a fair amount of money, as well as bonuses for winning international competitions. Moreover, a pro career after a successful Olympic cycle plus a year is about the same time it takes for a pro boxer to work his way up from zero. So it’s not so much a lack of money, but a lack of awareness of the benefits of working up the amateur ranks. It’s hard to prove this because purses aren’t usually disclosed for non-pay-per-view fights. And, of course, the boxers’ background and charisma factor in. But let’s look at a couple figures, just for the sake of argument. Floyd Mayweather, Olympic bronze medalist, received twenty-five thousand dollars on his pro debut. Another legend working his way up in that era was Erik Morales, who made four hundred pesos (around 130 U.S. dollars back in the day) in his first fights as a professional, minus the 30% he had to pay for his team, not to mention his equipment. Of course, this is only to give an idea. Even a meteoric rise of an undefeated, hot prospect with no amateur background to a world title fight usually takes at least three years. I mentioned Carlos Cuadras: gold medal at the 2007 Rio PanAm games went pro in 2008 after missing the Beijing Olympics in a very close decision to a teenage Óscar Valdez. Still a top prospect and sponsored by Telmex (the monopoly of telecommunications in Mexico, the Mexican AT&T, if you will. A sponsor as big as it gets), Cuadras went pro the same year. He went undefeated and received a title shot in 2014, which he won. Mind you, this is two years after the end of the following Olympic cycle of London 2012. The sponsors took notice of him right away because of his amateur experience. That made him a worthwhile investment. 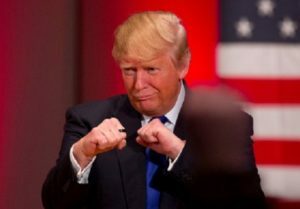 However, there is still hope for Mexican Amateur Boxing. AIBA, the International Boxing Assosiation, which sanctions the amateur competitions, has made changes that could benefit Mexican Boxing. They are introducing AIBA Pro, professional league that allows boxers to maintain Olympic eligibility. There’s the World Series of Boxing, a “semi-pro” modality with an interesting format, in which the national team, Mexico Guerreros, has had good results. Lastly, they have made a few rule changes that include the removal of headgear (which helps the traditional Mexican style), 10-point style scoring and even allowing pro boxers to compete, though the qualification process is not very clear yet and may be restricted to boxers with fifteen or less fights to their names. Still, the future looks a bit more promising for a country eager to showcase its most talented warriors. It might still be too early to get excited. The gold that has been out of reach for Mexican boxers might be nearing. We’ll have to wait and see.